Bedford is a historic town but with plenty of modern growth so it offers a wealth of different types and styles of accommodation; hotels, B&B's, camp sites, student accommodation, self catering options, guests houses, caravan sites, Inns, pubs and farm houses. There is almost too much choice! You need to be clear on the type of experience you want and how close to the town centre or alternatively the countryside you need to be. There are no five star hotels in the town but there are several solid four star options; The Bedford Swan Hotel, The Barns Hotel and The Embankment Hotel. All these hotels receive good reviews and they are all centrally located. d'Parys hotel is just a short walk from the town centre. It is an unusual and stylish place with a great mix of traditional features, modern design and a bit of weirdness! The guests at Pilgrims Progress rave about the value for money. 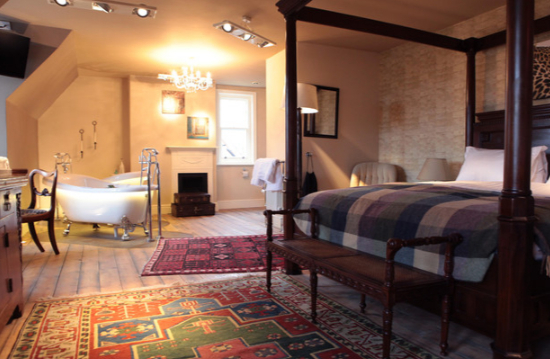 Clean stylish rooms right in the town centre with comfy beds above a rather lovely pub. The holiday inn express and the two Premier Inns also receive excellent reviews. They don't have the personality of some of the other places but with these chains you know exactly what you are going to get and these are obviously very well run hotels. There are a range of properties on Air BnB in the town centre as well as the usual apartments for rent on tripadvisor.